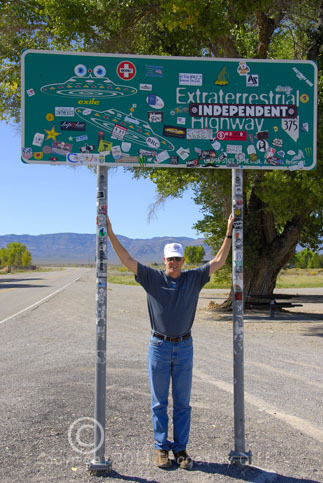 click photo to enlarge Highway 375 in Nevada is called the Extraterrestrial Highway and there are even signs that say that. People visit this area from all over the world because it follows along the perimeter of Area 51. Er ahh wait that doesn't exist does it? Hmmm I am here to tell you it is true I have witnessed it. There are so many stickers on this sign it is hard to read. 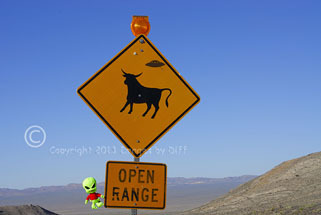 click photo to enlarge People put these little flying saucer stickers on the road signs and the Nevada Department of Transportation goes around and covers them up. 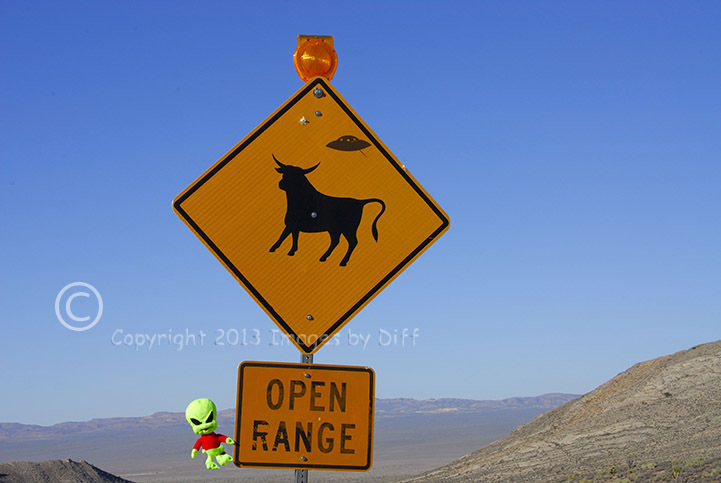 Why this one even has an Alien hovering around the sign. 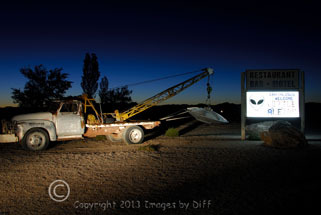 I think this may be a sign of things to come near area 51. There are signs as you approach Rachel that say Population; Humans yes, Aliens ??? You are really out in the middle of nowhere and the nearest gas station is about 50 miles. 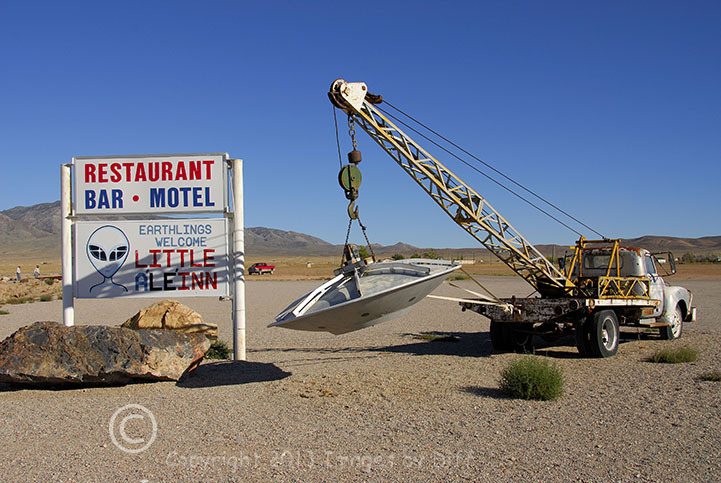 The Little A'LE'INN makes it's living off of tourists just coming through or people like us spending the night just to say we were at Area 51. 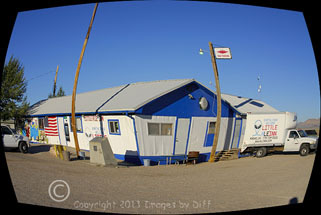 They have a weather station at Rachel but it is a bit different from others. It also measures radiation that blows over from Area 51.
click photo to enlarge The motel is house trailers. Most have 2 or 3 bedrooms and you share a trailer with whoever else is there. Our trailer had a bedroom and bathroom at each end of the trailer so we only had one other couple. The night skies were really dark and the stars and Milky Way viewing are outstanding. We spent the evening outside talking with locals and other visitors from.. planet Earth I think... The stories some of the locals had about some of the visitors were pretty entertaining for sure. They are among us is all I can tell you. Karen takes me to the bestest places.